I am so excited to have a guest blogging today. It’s none other than my dear, beautiful friend, Annie. I met this amazing lady on Instagram less than a year ago. And, I’m SO blessed that God aligned our paths to meet one another. She has inspired me in so many ways especially her passion to be excellent at all that she aspires to be and to become. She is the co-founder of Style Collective which has grown into a phenomal group of bloggers that I’m so honored to be apart of. This group has added to not only my life but to so many others: much needed friendships, helpful tools, words of encouragement, dreams and goals that seem more obtainable, and a safe place of inspiration. Today, She’s sharing some great hair secrets and tips. I’m Annie, and I am the editor at The Lovely Girl, a lifestyle website dedicated to inspiring today’s multifaceted millennial woman who loves fashion, hair, beauty, fitness and wellness. I am a self-proclaimed hair fanatic: from tools, products, cut, color, style – I love it all! 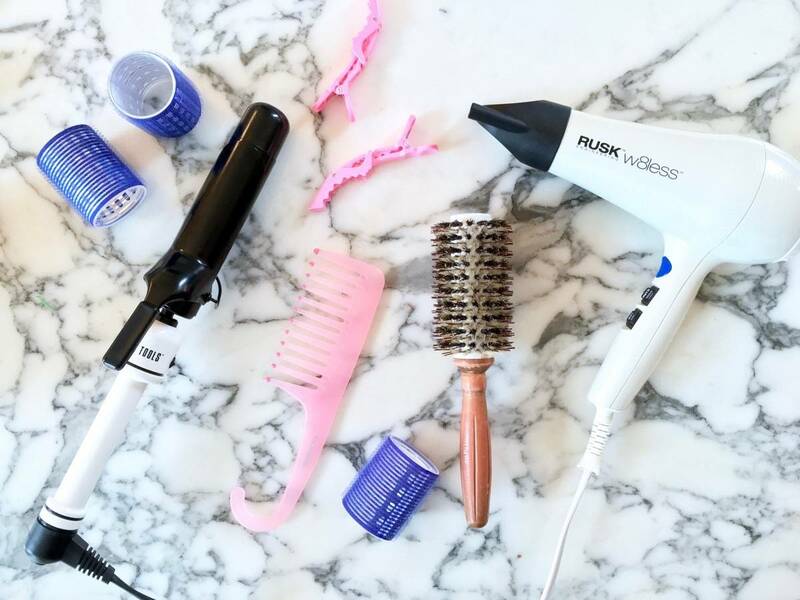 Today I’m going to be chatting about the best hair tools that every lovely girl needs to own. 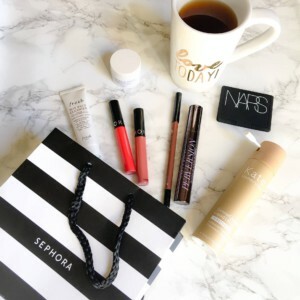 And, the best part is that most of these items cost less than $10 – high five!! There are a few terms that we need to cover before we get into the tools so that you can understand why these tools are so ah-mazing! So I’ve heard that wet brushes are all the rage, but I am old school. I’ve had this shower comb for like 10 years. I love that I can hang it in the shower and it also gently detangles my wet or dry hair. I love combing my conditioner through my hair with this wide-tooth comb and then clipping my hair up with a pink croc clip (more on that below). Literally the best $1.89 drugstore find, ever. If I had to pick ONE THING for every single woman to replace, it would 1000% be a hair dryer. The right dryer can cut your dry time in HALF while leaving your hair thick and shiny. I have been using a ceramic and tourmaline dryer for 10+ YEARS because my hair is thick, wavy, frizzy and takes FOREVER to dry. Ain’t nobody got time for that!! This Rusk dryer cuts my dryer time from 25 minutes down to maybe 10 minutes. It also won’t make your arm fall off because it weighs practically nothing. I’ve tried a lot of different dryers over the years, including CHI’s top of the line $190 dryer, and hands down – this one is my favorite! And it’s only $46!! I got my sister hooked on this dryer too and she raves about it. 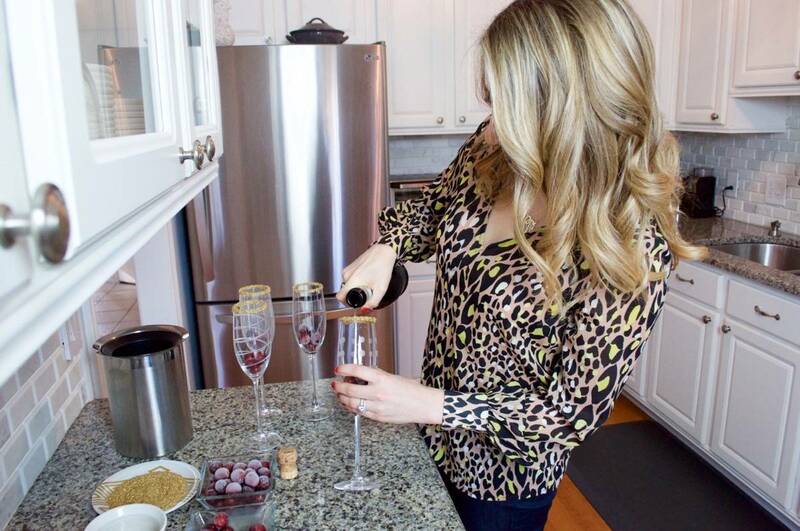 There is no need to spend hundreds of dollars on a curling iron! Hot Tools makes an amazing ceramic curling iron that heats evenly, is less damaging to your hair and increases shine. I have the 1” and 1.5” versions and use it depending on what kind of curl I’m going for. Both are amazing finds that I can’t live without. I am like a Grandma and LOVE rollers. After I dry my hair, I put four in my hair like a mohawk to help maintain volume and oomph at the root. I keep the rollers in while I am putting on my makeup and getting dressed. My husband especially LOVES when I wear these at night with a sleep bun. SO HOT. I do this on day 3 or 4 of my blowout to prevent grease buildup. These rollers are my #1 secret for extending my blowout 5-6 days. I’ll be doing a post detailing my exact process on The Lovely Girl soon, so come visit if you’re interested in learning about that! Cheers to good hair days! I hope that this guide was helpful and stop by The Lovely Girl for more tips & tricks like this. See you soon! Some great tips.. thanks for sharing. You girls are too cute! Loved reading this, what good finds that won’t hurt your wallet! Ahhh you have the best hair!! So full and bouncy!! Great hair tools too! Good tips. I’m a hair stylist and this is inspiring me to start work on a Terminology 101 post on extensions. Thank you. Great blog!